The concept of expressing Love has always been around us right from the start in whatever we do! Yes, it's the most beautiful feeling and an emotion gushing out all your happy hormones. No we're not the Love Experts! No we don't call ourselves the Love-a-holics! But we do know how to make this Valentine's day more exciting for all the Singles, the Committed and the Married bunch with our Will you be our Valentine Contest! Tell us your favorite merchant on TopCashback? Tell us why it is your favorite merchant? That's it! Stand a chance to win some cool goodies & vouchers! 1. Comment on the blog about your favorite merchant and why? Prizes: 5 X Rs.150 Amazon Gift Vouchers! 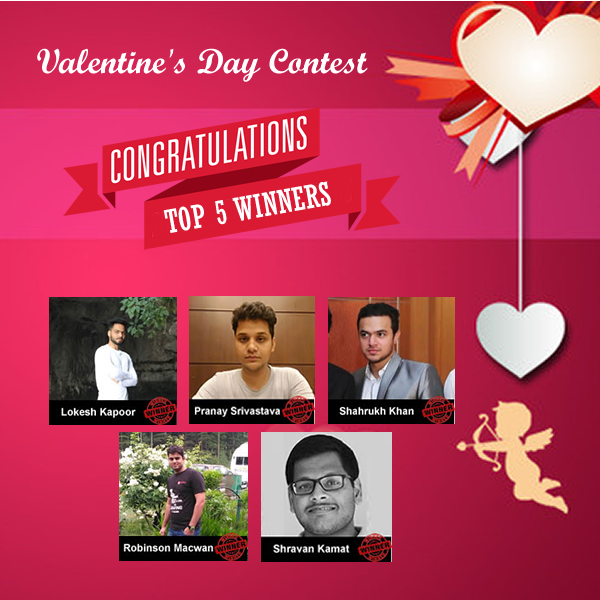 Congratulations to our members for participating & winning, you guys are the best! Thank you once again for making the contest a huge success. To get you started check out our offers for this Valentine's day! 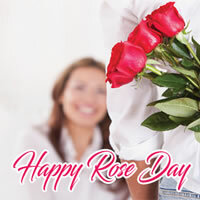 Rose Day - Beautiful & eternal love stories begin as friendship from childhood, be it with a single rose or a bunch of flowers as friendship gifts. Propose Day - And, then it just goes on with days passing by as being the best friends forever, with proposals of togetherness forever, may be with a ring of friendship or just a friendship band. Chocolate Day- As time passes, fantasy's of love starts becoming true, everything around seems beautiful & an actual story of love begins here with the sweetness of chocolate. 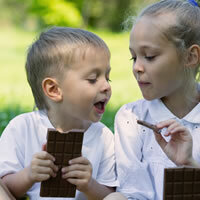 Teddy Day - Have you ever thought why there is a Teddy Day in Valentine’s week? Because couple gift each other stuffed Teddy bears to make each other feel comfortable and soft. 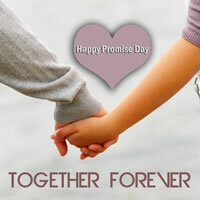 Promise Day - Its promise day! What are you going to promise your partner? If you ask us, we promise you that we will keep showering cool cashback offers on you throughout the year. Hug Day - The universal language of love, comfort and friendship is expressed just by a passionate squeezed hug. Enjoy this blissful feeling of love, protection & care with the tightest hug & compliment it with the couple tees. Kiss Day - Finally, the day you were waiting for is here! Has your mysterious valentine turned up yet or you already got one? If so, congratulations! Celebrate this bond of love with a romantic movie. Valentines Day - And our team wishes you all an immortal relation & let your love on us be flourishing as we bring you cool gift contests and offers this Valentine’s Day. Cheers to a new life full of love, care, understanding, silly fights, happiness, good & bad memories. Comment with the name of your favorite merchant & tell us why it's your favorite? My favourite Merchant is swiggy. Reasons: although it gives only rupees 5 cash back to the existing user, still there is no any minimum order value for the same. Further, the cashback amount gets track immediately. Also it is to be noted that the cashback on swiggy is the highest on TopCashback website compared to other cashback related websites. My favourite merchant is Shoppers Stop, with the highest cashback from Topcashback, I got some of the products at the cheapest which can only be imagined and definitely it is not possible while shopping at a physical store. I am sankalp kiran gouraj. My favourite shopping site is amezone ,jabong flipckart ,club factory. Because this sites are very baranded and good quality of products and quick delivery. I am purchasing through TopCashback for past 5years. Topcashback gives 1% Extra cashback compared to other websites like cashkaro, coupondunia, gopaisa that I have used.. I have got extra cashback 1% From medlife, pharmeasy, easemytrip, makemytrip,amazon. But still I can remember I am great fan of ebay website. If I buy in ebay I use to get cashback and will be able to withdraw in 45days at starting.. Still I like medlife cashback.. Thanks to Amazon... I love to shop from that site. Flipkart is my a favorite merchant because it gives free rewards in case of cancellation by them another reason is service. I ordered queen size bed and I get same installation. My most favourite merchant on TopCashBack is undoubtedly Amazon! The variety of items on offer right is just amazing. Need a daily use simple item like a bar of soap or toothpaste? Its there on Amazon. You need a laptop or jewellery- Amazon has it too! To top it up, heavy discounts & Fast doorstep delivery make the offering even better! TopCashBack adds cheery to the top by offering as high as 8% Rewards on purchases done on Amazon. Even better is that when you redeem your TopCashBack earnings via Amazon Gift card as the payou mode, you get 2% Additional bonus value which is even better. I love buying from Amazon. I think I get the best deals as discounts and cash backs on toipcashback from them. I can use these to top up my gift cards and again shop more. Cannot ask for a better shopping experience. My fav. Is Amazon because, it's simply awesome! My favorite merchant is flipkart & Myvishal. Lot of offer and high cashback. My Favourite Merchant is Myvishal and Reliance Trends because , I can purchase shirts and Trousers free of cost from there. My Favorite merchant is Bigbasket as its range is wide and quality is good. My favourite is Amazon. Quick delivery,easy returnable and quality products. The best #Cashback site ever.....Activity and reality of this site proves the name"top". #Thanks a lot. #Love you. -Easy to use and simplified interface of their website and mobile application. -Best discounts to its customers. -Good quality check on its products. Amazon is the best as it is very fast and trusted and the Amazon pay is safe. My favorite site is flipkart because is this most trustble site and product price are very nice and so attrecatble shipping is very fast and low price.. Most very peaceful site. I Always Like to Shop Online From Amazon . Because All Things Are Available There at Best Price and He also gave cashback for Amazon Pay Balance . His Delivery Was Very Fast . The Product Delivered Before Delivery Time . No Problem at the Time of Return or Replacement . So That's Why I Always Shop From Amazon . I love... Ferns and petals.. As they have gifts for every human expression and celebration. I always use them for every occassion. Swiggy Got little discount on food As I save some money..
Amazon is my favourite merchant as it confirms the cashback at earliest and is generous with the amount. Hi..My fav merchant is NNNow any day as they offer all the good brands including the high end ones too at one platform and ya My sephora is also there. Plus good discounts and very good TopCashback offers too . Icing on the cake !!! My favourite merchant is ajio.Which is very amezing ajio gives a better quality products with tha extra discount.Nd with TopCashback we get additional cashback which is outstanding yarr.Thnkuuuu sooooooooooo mack TopCashback. My favorite merchant is Amazon. The Prime membership and great products makes me choose it every time I decide to shop online. Also the cashback is tracked and credited on time. When you need an outfit for literally any occasion, nnnow is the first site you should be looking at. Currently, the fashion retailer is aiming for more inclusivity with its new and unique collection that also includes huge discounts options. So my favourite merchant is nnnow, get tracked quickly and merchant confirms it on time and the best thing is they give 30% Cashback which is huge. My favourite mechannt is Amazon.Because it provide best quality products as compare to other merchants in affordable price and in many varieties. My favourite merchant is Amazon because it has all the items needed for an household and has a prompt delivery service. My fav merchant is Amazon as it provides very good offers and wide range of products. 2. Cashback becomes payable quickly. 3. Deals on flipkart are nice with good offers on payments like 10% Instant cashback using particular card or wallet. My favorite merchant is Amazon.In. It meets all my requirement at an good price, with great discounts! Plus, its amazon pantry facility lets me get my household with extra discount, and the cc of amazon is very good. Without any second thought they will solve my problem if any. My favorite merchant is nnnow . Nnnow provides the brand product at more than 50 % Discount rate. They deliver the products in my village also . One can get the best products with fast delivery at the far distance. My favorite merchant is Amazon.In. It meets all my needs at an affordable price, with great discounts! Plus, its subscription facility lets me get my household needs every month without reordering every month, and that too at a very good discount! And the quality of the products are also not compromised. One of my favorite merchant on TopCashback India is Big Basket. 1. Instant tracking of the visit. 2. Sooner payout and transparency. 3. Discounts provided by the merchant with its own offers. My favourite merchant is Amazon, for its discount, customer service and accountabilities. My favorite merchant is Nnnow that gives 30% CashBack for the long time. Brand new fashion products available in that site with 50% To 80% Discount. I love nnnow now. It's Thatspersonal.Com...😏. It's a month of love. Superdrug- the only one that always tracks!